Set of 4 Black Rubber tyres for early Tri-ang Triang pressed steel lorries etc. 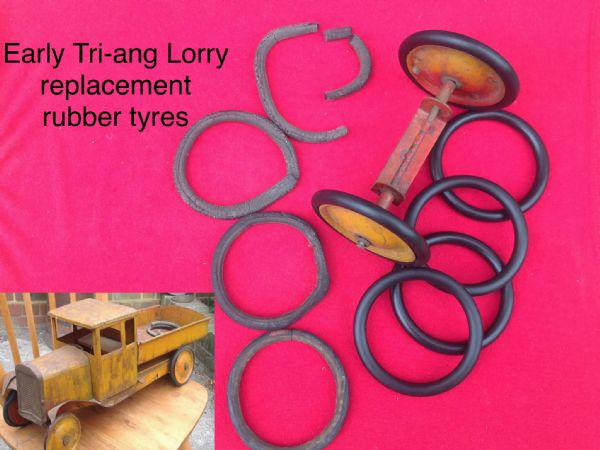 A set of 4 Black Rubber tyres for early Tri-ang Triang pressed steel lorries etc. These fit many in the range for instance in the photograph is a 1942 Birthday gift of a Bedford Tipper having its set replaced.